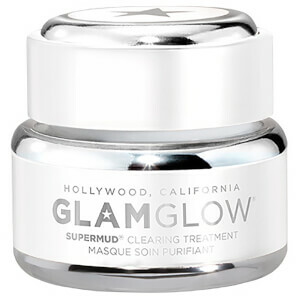 Transform the complexion with the GLAMGLOW Gravitymud Mask; an effective firming treatment that delivers a visible face lift effect. 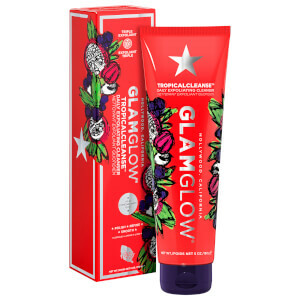 When applied, the mask changes from a bright white cream to a unique, iridescent chrome colour. 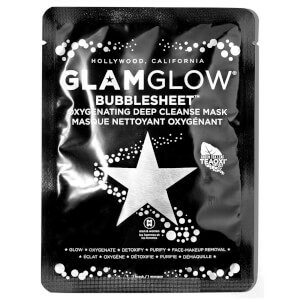 Once dry the mask simply peels away, revealing a renewed and youthful complexion. The mud mask is powered by TEAOXI™ Marshmallow and Liquorice Leaf. Working in just 20-30 minutes, the mask peels away to reveal firm, supple and lifted skin, with enviably defined contours. Water\Aqua\Eau, Polyvinyl Alcohol, Alcohol Denat., Butylene Glycol, Glycerin, Ethylhexyl Hydroxystearate, Hamamelis Virginiana (Witch Hazel) Water, Montmorillonite, Pentylene Glycol, Illite, Polysorbate 20, Canadian Colloidal Clay, Caprylyl Glycol, Althaea Officinalis Leaf Extract, Tapioca Starch, Chondrus Crispus (Carrageenan), Colloidal Platinum, Dipotassium Glycyrrhizate, Alcohol, Ascophyllum Nodosum Powder, Polysorbate 80, Polymethylsilsesquioxane, Hydroxypropyl Methylcellulose, Citric Acid, Lecithin, Pullulan, Porphyridium Cruentum Extract, Soy Isoflavones, Sodium Hyaluronate, Xanthan Gum, Fragrance (Parfum), Coumarin, Disodium Edta, Phenoxyethanol, Sorbic Acid, Potassium Sorbate, Bismuth Oxychloride (Ci 77163). Please be aware that ingredient lists may change or vary from time to time. Please refer to the ingredient list on the product package you receive for the most up to date list of ingredients.